After a lot of leaks and rumors, Samsung has finally unveiled the next Note i.e. Samsung Galaxy Note 9 on August 9 at New York. The Samsung Galaxy Note 9’s base variant with 6GB/128GB configuration is priced at $999 (approximately Rs 69,000) whereas the top-end 8GB/512GB variant will be sold for $1,250 (approximately Rs 86,000). It will go on sale from August 24 in Midnight Black, Metallic Copper, Ocean Blue and Lavender Purple color options. It comes with certain important (but not major) upgrades over the last year’s Note 8. The main highlights of the device are it’s new upgraded S Pen with Bluetooth capabilities, a larger battery, and the AI camera. 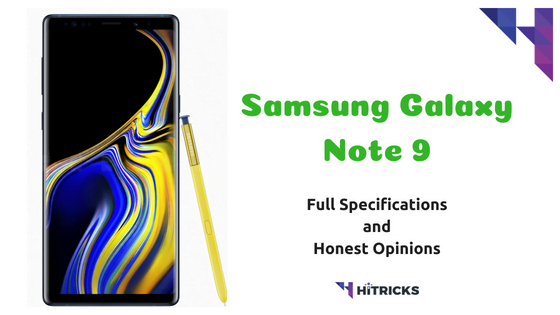 Let us look at some of the Samsung Galaxy Note 9 Features and Specifications. The Samsung Galaxy Note 9 hasn’t changed much from the Note 8 in terms of looks and design, except for the fact that the fingerprint scanner is now placed below the Camera module. It comes with a glass back and an aluminum frame. The phone also inherits the IP68 Dust and Water resistance from its predecessor. It comes with a 6.4-inch Super AMOLED Infinity Display having a QuadHD+(2960 x 1440 pixels) resolution and an aspect ratio of 18:5:9. It bears a pixel density of 514ppi and is protected with Gorilla Glass 5. Moreover, the display supports HDR10 & Samsung’s traditional Always On feature. The US variant of the Samsung Galaxy Note 9 packs Qualcomm Snapdragon 845 chipset at its core, whereas, the global variants will be powered by Exynos 9810 SoC (including India). Moreover, it comes in two variants including the 6/128GB and a higher 8/512GB RAM and Storage configuration, along with a MicroSD card slot for further storage expansion up to 512GB (only for dual sim models). For photography, the Note 9 gets a 12-megapixel primary shooter with a variable (f/1.5 to f/2.4) aperture and 1.4-micron pixel size, along with a 12-megapixel secondary sensor having an aperture of f/2.4, and a telephoto lens for 2X lossless optical zoom. A heart rate scanner too sits in the camera module, as seen on the previous Samsung Flagships. At the front, an 8-megapixel shooter with f/1.7 aperture is given for Selfies. 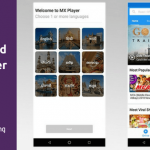 Following the likes of Huawei and LG, Samsung has equipped the camera app with certain nifty AI features like the Scene optimizer that smartly detects the object and applies further enhancements accordingly. Being a note, the device gets the perks of having an S Pen. This time, the S Pen gets a huge upgrade with the Bluetooth functionality which allows the users to remotely capture photos, play/pause YouTube videos or music, control presentations and unlocking the phone by the press of a button. While the regular S Pen features work without any charge, the Bluetooth features require a battery which lasts 30 minutes and takes about 1 min to fully charge when the pen is docked into the Note. For unlocking the device, we have Face Unlock and an Iris Scanner in addition to the S Pen and fingerprint scanner. 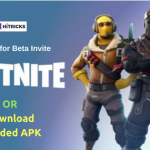 Additionally, the popular game Fortnite Battle Royale has made its debut on Android platform with the Note 9. On the software front, the device runs on Samsung’s Experience UX skin on top of Android 8.1 Oreo. All this is backed by a large 4,000mAh battery that supports Samsung’s Adaptive Fast Charging and of course, the Wireless Charging features. Connectivity like Samsung DeX, Samsung Pay, ANT+, Bluetooth 5.0, 4G VoLTE, Wifi, GPS, NFC etc is present onboard. You can have a detailed look at the specifications below. Note series is the only series I am a genuine fan of, from the Samsung devices. I especially like their design aspect. They have refined themselves a lot in the recent years. Firstly, unlike the last year's bad fingerprint sensor placement, this year's rear fingerprint sensor sits just in the middle, and easy to reach with both hands. The S Pen got a huge upgrade and now supports Bluetooth that can be used to control numerous stuff. I especially liked the fact that the S Pen can be charged fully in just 40 seconds. Wow! They have bundled a 4000mah battery with the device, which is sufficient to use the device heavily for a whole day, in my opinion. Coming to the hardware, they have fitted a 10nm chipset inside, which should handle everything you throw at it. The camera performance should be awesome, judging by the spec sheet. It has an iris scanner, a heart rate sensor, face unlock and more! Last but not the least, Samsung's own Bixby assistant is present. Samsung Dex allows to connect with any monitor and use it as a desktop. Again, such a premium smartphone has a price to pay for. Also, a typical Samsung software tends to slow down after 1 year and a half, whereas devices like Pixel, iPhone or OnePlus remains flawless year after year. So, make your decision. Except for some exclusive features, there are alternative smartphones at prices half of it. It really comes down to the point whether you would want the Samsung touch and are willing to shed out your bucks. You can pre-order Galaxy Note 9 from Flipkart starting 10th August 2018.